Where would us gentlemen be without our style accessories? How else would Bono try and pass off the fact he’s not in his sixties without his sunglasses? Pah, Glaucoma. I’ll believe that when I see it. (Pun intended.) How else would Bond escape the clutches of a sockless Blofeld without his beloved Omega Seamaster and its rather loud alarm? My point is these are more than just fancy gadgets with which we reward ourselves. More than mere foppish accoutrements we don to distinguish ourselves from the rabble. Well, they might be all those things as well, but they’re also kindly reminders that we pay attention to the details in life. My homemade business card, derived from beer mats, papered and on one side, laminated with Sellotape. (I had a picture of Jesse Ventura and under blood type it read: I haven’t got time to bleed). A neat kaleidoscopic Tony the Tiger Frosties membership card that eventually snapped. A beleaguered condom that also eventually snapped. So I’m a late comer to maturity. 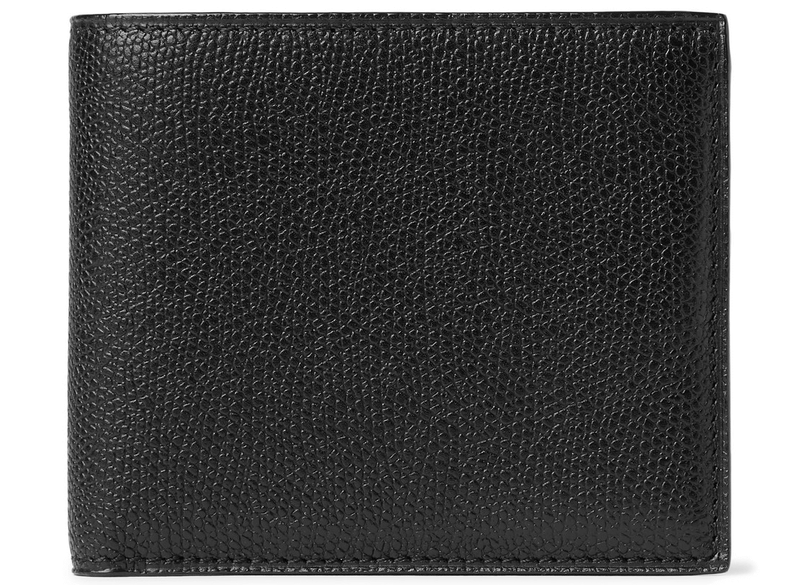 I’m now looking at wallets like the Valextra Pebble-Grain Leather Billfold Wallet in a lascivious manner. Free from extraneous detailing, it has been made in Italy from black pebble-grain leather that’s designed to withstand daily wear. Tip for you party-heads: you might find yourself at a gathering, one of those pseudo-intellectual rich kids’ parties where teenagers talk like 50-year-olds. Suddenly the drinks will get the best of people and these saturnine drips will need something extraordinary to hold their attention. At this point, you’ll ask if anyone would like to see you recite the entire Christopher Walken ‘Father’s Watch’ speech from Pulp Fiction. They, of course, will, and you’ll deliver it to a tee because you’ve been rehearsing it whilst out on your daily run. (Takes a month, 2 listens a day, the speech is 3 mins 40 secs long). Of course, you could try other tried-and-tested means of separating yourself from the madding crowd. 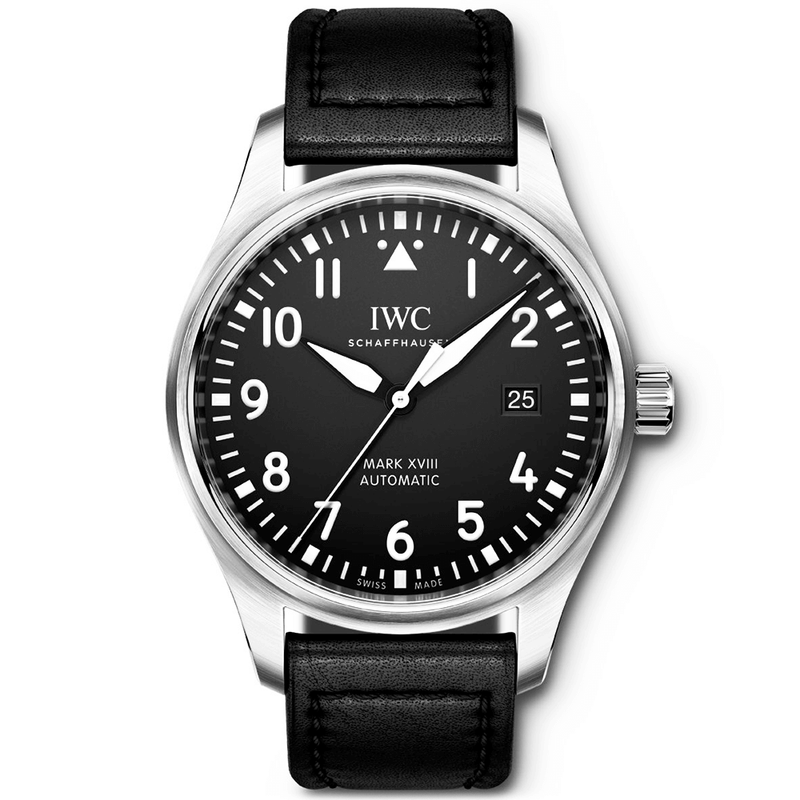 Like wearing this IWC Schaffhausen Pilot’s Mark XVIII 40mm Stainless Steel And Leather Watch. The beautifully inscribed JU-52 plane on the reverse marks the brand’s long-standing appreciation of aeronautics. Where did Patrick Bateman get his overnight bag from? Originally it was intended to be Comme des Garçons, but being prudes, they refused to allow one of their overnight bags to be used to carry a corpse, so Jean Paul Gaultier was selected instead. That’s why I love Jean Paul Gaultier, skirts and all. It won’t be big enough to house a recently bludgeoned corpse, but this Palissy leather briefcase from Carl Friedrik is designed to carry more than just a laptop. 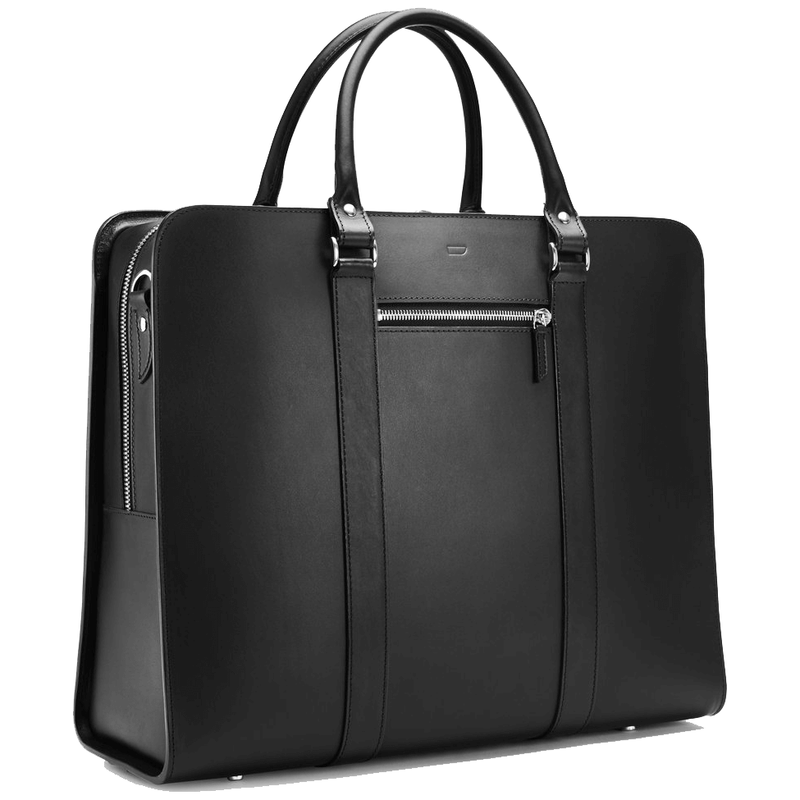 The Palissy has a refined aesthetic on the outside that houses a functional, spacious work bag on the inside. Just outside of Naples, every Carl Friedrik product is handmade by a small team of artisans – masters of their craft. 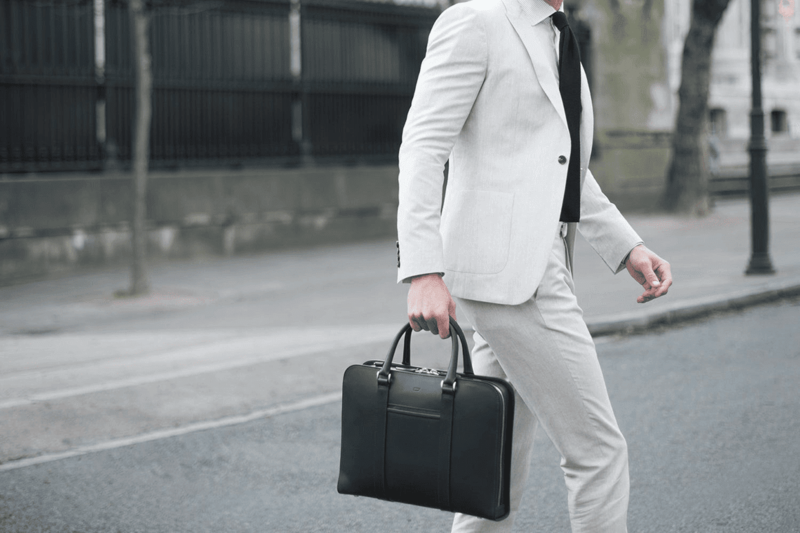 No, before you say it – yes there are a variety of bags a gentleman could own, but a daily briefcase is a great start. The epitome of business casual, it will work just as well with a bespoke charcoal two-piece as it does tailored trousers, an Oxford shirt and an unstructured sports coat for Dress Down Friday. At some point during our adolescent years, we’ve all owned a pair of aviators, a Kenny Loggins CD and thought it a decent idea to round up the most ripped dudes in our Rolodex for an afternoon of beach volleyball. To keep your eyes protected, and to maintain a level of cool beyond the heat of the sun, a stylish pair of sunglasses is essential. Nothing says cool better than a pair of Oliver Peoples O’Malley sunglasses. Inspired by the classic frame worn by LA Dodgers former owner, this iconic optical frame is one of the brand’s most recognisable designs. Each frame is handcrafted to give you your own piece of unique… uniqueness. A girl who once told me it’s a shame men wore aftershave. “A man’s natural scent is the most instinctual thing he owns,” she professed. At the time I could barely afford the beer in my glass, let alone a bottle of Old Spice. What happened next I hear you cry? Well a gentleman never tells, but it turned out to be quite the day at the Chelmsford Beer festival I can tell you that. Quite the day. That said I know an anomaly when I see one. The critical mass of women will always gravitate to a man who wears a scent versus the dude who last saw a bar of soap on a Fight Club poster. This season’s weapon of choice should be the Tom Daxon Iridium. The fragrance equivalent of charcoal-coloured cashmere: all the powdery sophistication from the precious iris concrete but with a strong silvery spine. It’s a superb creation.